Deer hunting season will be here before you know it. Odds are, you’ve already started the process of making sure all your gear is in order. You’ve probably checked your weapons and ammunition; you’ve probably checked your boots and packs; and you’ve probably checked your camo. As much as hunters love their guns, ammo and footwear, there seems to be an irrationally devoted love affair with their camouflage outfits. This seems a little silly when looked at more closely. Here’s the rub: spending a lot of money on a rifle or good pair of hiking/hunting boots makes sense. After all, a good rifle can help get you a trophy hanging on your wall and comfy, well-made boots will keep your feet happy, healthy and dry. Clearly, both of these things impact the success of a hunt in enormous ways. But does buying “good,” expensive camo really matter? The answer to this, irrespective of how cool you think you look walking into Walmart or Cabela’s in your fancy new camouflage deer hunting duds, is a resounding NO. 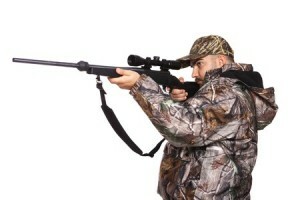 According to the hunting experts, camo is one of the least necessary aspects of a hunt. In fact, the Quality Deer Management Association (QDMA) has said that deer species are really only good at noticing movement. Regarding color, they can only really see shades of white, black, blue and yellow. Meaning, the single most important dynamic when it comes to hiding from deer is to stay as motionless as possible. The next most important factor in successfully hiding from this sort of game is to make sure your camo pattern isn’t blue or yellow. In other words, as long as you follow those two guidelines, your expensive camo is no more likely to help you bag a deer than the cheap stuff. So the moral of the story is that if you find end up having a few dollars extra to spend on hunting gear this season, your best bet is a better rifle or pair of boots. For more expert insight into what a deer can actually see (and why the expensive camo market is racket), click here.